These past few seasons of drought, characterised by high temperatures and low rainfall, have created much uncertainty in the hearts of farmers. 2016 saw many hectares left unplanted as we endured one of the worst droughts in a hundred years. Some rains eventually fell in the western region early in the year and January saw a previously unheard of flurry of maize planting. It was surely a miracle that this crop, planted so very late, actually yielded surprisingly better than maize which had been planted at the optimum time. We were fortunate that the frosts stayed away allowing the plants enough time to mature. Nonetheless, I don’t think I’m the only one who is praying that 2017 sees the seasonal weather patterns return normal! Let’s not be too unrealistic though. South Africa is a dry country and many of us are planting dryland maize crops in regions which historically face short periods of drought within a growing season. Generally speaking, January is known as the “stress month” for maize plants. It is then that we often have a widespread mid-summer heat wave or drought. 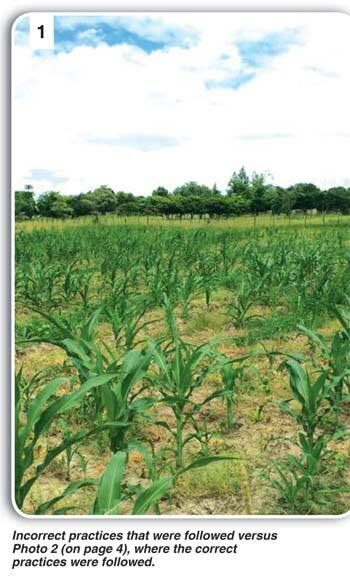 Importantly, this normally occurs when the maize is at a critical stage of development i.e. pre-tasselling. Evaporation and evapo-transpiration are at their peak at this time too. Whatever way you look at it, January is crunch time! January is a tell-tale month too. Because this is exactly when our farming practices are put to the test! The coping capacity of plants under stress tells a story. How efficient has our moisture conservation been? Was our weed control up to standard? 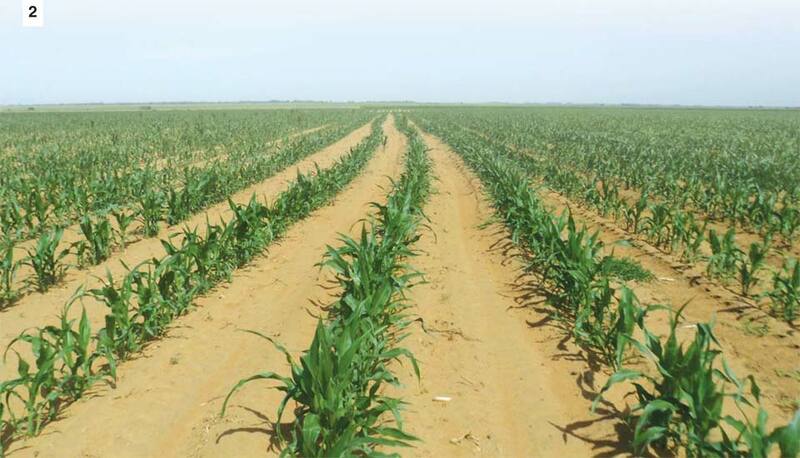 How well we have performed these critical tasks will determine how well our maize crop withstands the onslaught of January’s high temperatures and dry conditions. And the bad news is…unfortunately there is little mercy for a disorganised farmer in January! There is no time to spring into action to remedy the problem – crisis management just doesn’t work in maize production! A severe weed problem, or a poorly managed plough pan which should have been ripped before planting, cannot be rectified while the plants are growing. So, how do we prepare for a typical January when we are planning to plant a maize crop? Weather patterns are unpredictable and variable BUT with the technology available these days we can get a good idea as early as October as to what to anticipate weather wise. Farmers need to determine whether predictions are for a normal, abnormally dry (El Niño) or abnormally wet (La Niña) season ahead. This is an important source of information for our decision making as we approach the season. We have the opportunity these days to improve our yields simply by carefully selecting which cultivar to plant; and knowing what we can anticipate in the season ahead gives us more power to choose. Do we want a short or a long grower? Should we select a variety known to be better suited to wetter or drier conditions? Technology has changed the seed production industry dramatically which gives us many more options. Planting begins when there is enough soil moisture and the temperature of the soil is suitable for the seed to germinate in. However, it is also important to consider the life cycle of the maize plant. You don’t want your plants which are at their most heat and water sensitive, to collide with the midsummer stress. Fertiliser application is done according to your own yield targets. This will be guided by your anticipation of rainfall for the season. This is preferably done in the early stages of the maize plant’s growth. It is not advisable to disturb the soil or expose roots to high temperatures when the plant is maturing. If you have to control weeds in January, it is advisable to rather spray a herbicide than to do any mechanical cultivation which will expose your soil, release precious moisture and risk damaging or exposing the new roots. 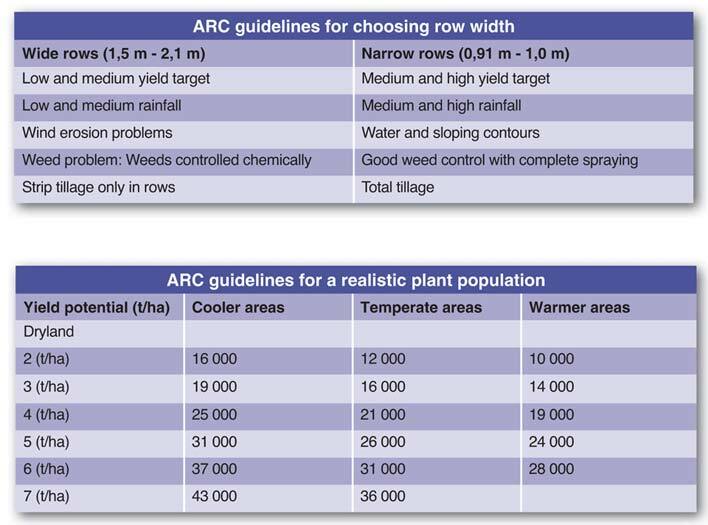 Certain inputs should not be compromised on, especially herbicides. Weed control is the biggest determining factor for a successful yield. It is not wise to take short cuts in any way with weed control strategies. Too many farmers make the mistake of thinking they can use less herbicide, either by skipping an application or by diluting the spray and spraying too low concentrations. This is a problem as the weeds survive and build up a resistance to chemicals – a particular problem with glyphosate sprays, like Roundup. It cannot be stressed enough how important it is to apply timeous total cover weed control after your last cultivation. The guideline would be when you can safely traverse the field before the maize plants grow too high. This final application of herbicide should keep the field clean and weed free so there is no competition for the plants during the critical period. Another point to note is that if the spraying of the herbicides is left too late and conditions have already become too hot and dry, the chemicals will not be as effective.